The W. John Multipurpose Boarding School endeavors to fulfill and inculcate within the students the four major dimensions of education the mental, the physical, the spiritual and the social developments. As the students participate, progress, succeed and fulfill the aim and objectives of the institution, there creeps-in a warm satisfaction and joy to all those involved in the fulfillment of its purpose. It is the desire of the school and its governing body to place the highest priority to encourage, generate and put it to productive use the inner potentials of each students and help them to discover themselves. Rajiv Gandhi once said "Children are a picture of the worlds future". It is the objective of our institution to instill in each student confidence, zeal, motivation and insight so as to attain the above objective and pave the path leading to the holistic development of each individual pupil. W. John Multipurpose Boarding School is a Co-educational Institution operated by the Bahuddesiya Samaj Seva Sansthan, Piska Nagri, Ranchi. The school was founded by Mr. M. P. Ekka in April 1990. Initially the school catered the thirst for Education for its local community. As the school progressed, many from far and near have come to know about the school. 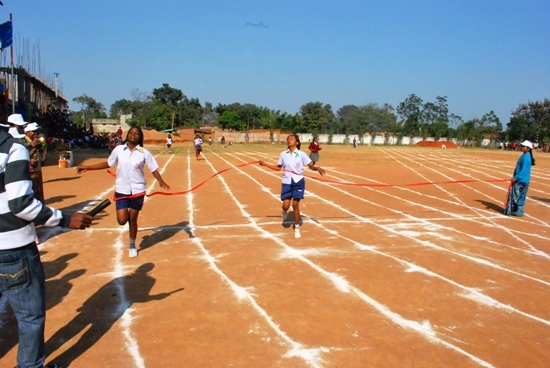 As a result it turned from a Day School into a boarding School as well, today the school, with its good reputation, has students from many states such as Bihar, Bengal, Orissa, Uttar Prdesh, Madhya Pradesh, Delhi, Chhattisgarh, Manipur, Nepal and Assam. The students who are from far places consider the school to be " A Home Away From Home" The school is situated in Piska Nagri 15 Km. from Ranchi, the capital city of Jharkhand on the Ranchi-Bombay National Highway No. � 23 in a calm, peaceful and pollution free environment. The school is affiliated to the council for the Indian School Certificate Examination, New Delhi.